Giving the Palestinians a state is a really, really bad idea. But the world seems obsessed with giving them one anyway. The sad truth is that a Palestinian state is not going to bring peace to the region. It is not going to bring an end to the conflict between the Jewish people and the Palestinians. Rather, it is just going to embolden those that desire to see Israel wiped off the map. As you will see below, poll after poll has demonstrated that the Palestinians overwhelmingly believe that a “two state solution” is only an intermediate step toward the eventual goal of taking all of the land away from Israel, and the vast majority of Palestinians still support committing terrorist acts against the Jewish people. You cannot pacify radical jihadists that are obsessed with genocide by giving them land. In addition, if global leaders do try to carve up the land of Israel, that is going to very much upset the Lord God Almighty. But we live in the last days, and we know that these kinds of things are going to happen. The Palestinians have now submitted their formal request for statehood to the United Nations. The U.S. and the EU are blocking that bid at the moment and they are trying to encourage the Palestinians to renew negotiations with Israel, but that does not mean that they don’t want to give the Palestinians a state. In fact, the U.S. and the EU have both publicly stated that the Palestinians should be given a state based on pre-1967 borders. It is just that the U.S. and the EU want a Palestinian state to come about through direct negotiations between Israel and the Palestinians. But what kind of negotiating position does that put Israel in? The U.S. and the EU have already basically promised the Palestinians a state based on pre-1967 borders with East Jerusalem as the capital. Unless Israel plans to give up East Jerusalem, negotiations are never going to work. The Palestinians will just keep insisting on East Jerusalem until the rest of the world finally gives it to them. Not that the Palestinians should ever be given one inch of land. God gave all of that land to the people of Israel forever. But unfortunately, most of the politicians around the world think that they know better than God does. The following are 10 reasons why a Palestinian state is a really, really bad idea…. #1 The “Palestinian territories” are currently ruled by two separate governments. One of them is a terrorist organization. Right now, Hamas rules Gaza and Fatah rules the West Bank. So how can Mahmoud Abbas speak for all of them? And how will they suddenly become “one people” once they have been given a state? #2 A large number of Palestinians do not agree with the statehood request that Abbas has submitted. You would think that this fact would be reported by the mainstream media, but they have been largely silent about this. The reality, however, is that a number of key Palestinian organizations are very much against what Abbas is doing. 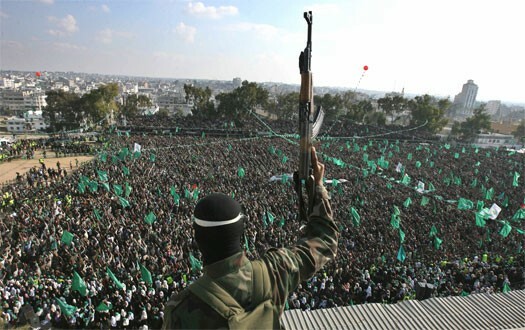 For example, WorldNetDaily recently reported that Hamas has loudly denounced this statehood request…. Major Palestinian factions, including terrorist organizations, reject Palestinian Authority President Mahmoud Abbas’ United Nations statehood request, arguing Abbas does not represent the Palestinian people. #3 The vast majority of Palestinians do not believe that creating a Palestinian state will resolve the conflict with Israel. So if that is the case, then what in the world is creating a Palestinian state actually going to accomplish? “two state solution” to be the answer to the Israeli-Palestinian conflict. But you don’t hear numbers like that in the mainstream media, do you? #4 Giving the Palestinians a state would create a brand new state sponsor of terror in the heart of the Middle East. Right now, the Palestinians continually commit acts of terrorism against the Jewish people. The Palestinian Authority is either unwilling or unable to stop this violence. So why would giving the Palestinians a state change anything? The truth is that the poll numbers reveal what is really going on…. 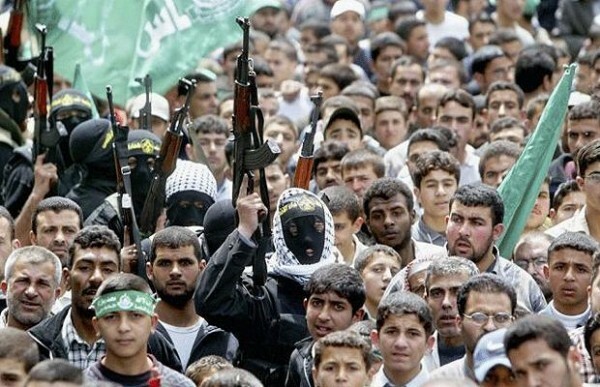 *According to one recent poll, 58 percent of all Palestinians prefer “armed struggle” over “engagement with Israel”. 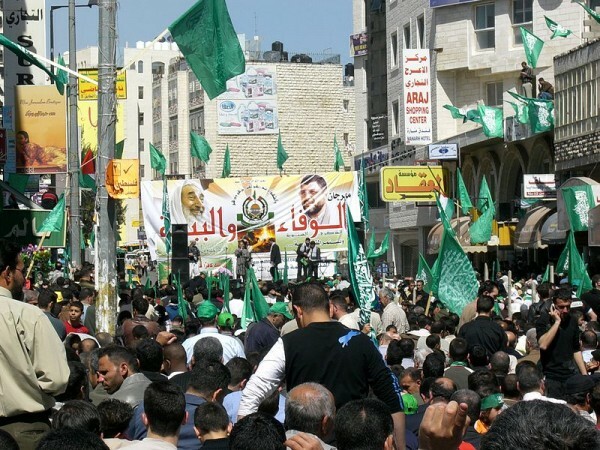 *According to another recent poll, 73 percent of all Palestinians agree with the hadith quoted in the Hamas Charter that talks about killing Jews. *The same poll found that 62 percent of all Palestinians support kidnapping Israeli soldiers and holding them hostage. Why in the world would the U.S. and the EU support the creation of another terrorist state? #5 The Palestinians still refuse to recognize that Israel has the right to exist. The Palestinians want the rest of the world to give them huge chunks of the land of Israel without the Palestinians having to give up anything in return. In fact, they don’t even plan to recognize that the nation of Israel has a right to exist. So what kind of neighbor do you think they will be for Israel? This refusal to recognize Israel is deeply rooted in the Palestinian psyche. For example, one recent poll found that only 12 percent of all Palestinians agree that official maps, documents and school textbooks should show the name “Israel”. #6 The Palestinian people are still very much dedicated to the destruction of Israel. The primary goal of the Palestinians has never changed. For example, Abu Mujaheed, a spokesperson for the Popular Resistance Committees, recently told WorldNetDaily the following…. So how are you supposed to “negotiate” with someone like that? If the world wants to give big chunks of land to the Palestinians for free, they will gladly take it. But it will do nothing to dissuade them from their ultimate goal. In fact, the Hamas charter still calls for the destruction of Israel. That has not changed. So why should the rest of the world reward such behavior? #7 You cannot pacify people that are committed to genocide by giving them land. It did not work with Hitler and it will not work with the Palestinians. Hatred for the Jews is growing to a fever pitch all over the Middle East. Just check out the following example from a recent article in The Blaze…. How in the world are you going to make “peace” with people who think like that? #8 The pre-1967 borders would make Israel indefensible. At the narrowest point, Israel would only be 8 miles wide if they were forced to go back to those borders. The nation would basically become impossible to defend. In fact, former Israeli Ambassador to the United Nations Abba Eban referred to them as “Auschwitz borders”. #9 In the Bible, the Lord God Almighty warns against dividing the land of Israel. The book of Joel is all about the return of Jesus Christ to this earth at the end of the Great Tribulation. In Joel 3:2 it tells us that one of the things that Jesus will judge the nations for is dividing up the land of Israel…. In case you haven’t noticed, whenever the United States gets involved in trying to divide up the land of Israel we seem to get hit by a major disaster of some sort. 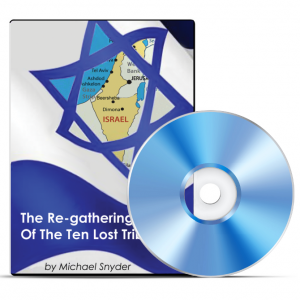 In a previous article, I detailed some of the disasters that have happened when the U.S. government has tried to mess around with the land of Israel…. #1) On April 30, 2003, America was positioned to be the catalyst for the so-called “solution” to the Middle East crisis. As Palestinian Prime Minister Mahmoud Abbas was sworn in, the “Road Map” peace plan was set in motion. The very next day began the worst month of tornadoes in United States history – more than 500 in a single month. Under normal conditions, 1,000 tornadoes hit the United States each year, but in just eight days that May, 375 twisters ripped across the heartland of America. #2) May 9, 2003, President Bush addressed students at the University of South Carolina. Bush called on the Palestinians to embrace the roadmap to peace, and Bush expressed his desire to see the flag of Palestine raised over a free nation. Hours later, tornadoes returned and Oklahoma City again became the target for deadly twisters, reducing many businesses and homes to splinters and bricks. The tornadoes of May devastated the Midwest with the third worst property damage in American history. #3) On October 30, 1991, in a meeting scheduled by George H.W. Bush, Israelis and Palestinians discussed ways to achieve peace in the Middle East. Opening talks focused on trading parts of Israel for a peace agreement. That same day, thousands of miles away, a powerful storm was brewing off of the coast of Nova Scotia. On October 31st, what would be known as “The Perfect Storm” smashed into New England, pummeling the President’s Kennebunkport, Maine home with waves 30 feet high. It was a storm so rare that the weather patterns required to create it only happen about once every 100 years. #4) On August 23rd, 1992, Middle East peace talks resumed in Washington, D.C. with hope that there would be a great breakthrough. These talks focused on surrendering the biblical lands of Judea and Samaria in exchange for peace. Hundreds of miles south of there at the same time, Florida was the target for one of the worst natural disasters in U.S. history. Hurricane Andrew ripped through the state with an eye more than 30 miles wide and winds up to 178 miles per hour leaving behind a 32 billion dollar disaster. #5) Between August 16th and 30th, 2005, Ariel Sharon expelled 9,480 Jewish settlers from 21 settlements in Gaza and four settlements in the northern West Bank. On January 4th, 2006, Sharon had a stroke, and he fell into a coma and is now in a persistent vegetative state. #6) The U.S. had strongly pressured Sharon to evacuate those settlers from Gaza. On August 29th, 2005 the storm that would become Hurricane Katrina formed, and it devastated New Orleans and the surrounding areas to such an extent that they still have not recovered. That devastating storm caused at least 200 billion dollars in damage. #7) In June of 2001, George W. Bush sent CIA director George Tenet to Israel in an attempt to implement the Mitchell Plan. The Mitchell plan called for, among other things, the cessation of new building in the Jewish settlements. On the same day that Tenet met with Israeli and Palestinian officials, tropical storm Allison formed in the Gulf of Mexico and moved over Texas, the President’s home state, and dropped over 28 inches of rain over the Houston area alone, causing over $4 billion dollars in damage. The storm then moved to Florida and up the east coast causing damage as far as Pennsylvania. The meteorologists called Allison the “worst tropical storm in history”. There are many more examples of this phenomenon right here. Could many of the bizarre natural disasters that we have seen this year also be linked to what Obama has been trying to do to the land of Israel? In the Scriptures, it tells us that God gave the land to the people of Israel. We should not be trying to mess around with that. Psalm 105:8-11 says the following…. #10 The Palestinians are going to insist on East Jerusalem as their capital, but that city belongs to the Lord. In Zechariah 12:3, we are warned that the city of Jerusalem will one day become a huge stumbling stone for the nations…. Is that not what has happened? Jerusalem seems to be the “problem” that has no answer. Israeli Prime Minister Benjamin Netanyahu has promised to never, ever let Jerusalem become divided. But the Palestinians have said that they will never accept a state that does not include East Jerusalem. The Palestinian people are incredibly united on this issue. 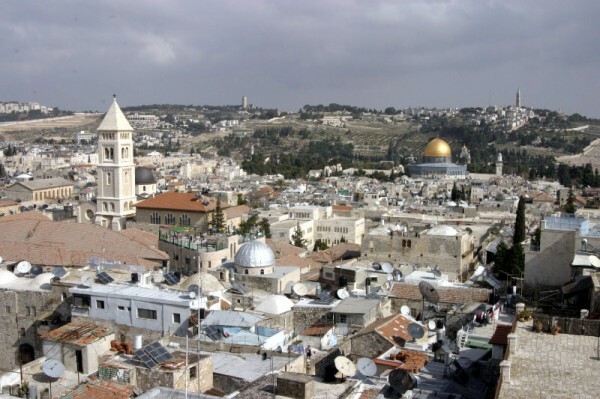 One recent survey found that 92 percent of Palestinians believe that Jerusalem should be the capital of the future Palestinian state. So will they get East Jerusalem? Well, it certainly does not help when United Nations Secretary-General Ban Ki-moon is running around saying stuff like this…. Not only that, but Barack Obama and many top EU leaders have already essentially promised East Jerusalem to the Palestinians. So what we have is a huge mess. Eventually we are probably going to see a Palestinian state. And then after that we are probably going to see a major war. A Palestinian state is not going to bring peace. Instead, it is just going to make war much more likely. These are the last days, and Bible prophecy is going to be fulfilled. Let us pray for the peace of Israel and let us pray for the peace of Jerusalem. Did The Oil Spill In The Gulf Of Mexico Happen Because Barack Obama Is Trying To Divide The Land Of Israel? Right away it is important to warn you that the premise of this article is highly controversial. Throughout history, God has always dealt very harshly with anyone who has turned their backs on Israel. In fact, as we will document below, God has dealt very harshly with the United States on a number of occasions when the U.S. has been involved in the dividing of the land of Israel. God gave the promised land to the people of Israel forever, and nobody has the right to give one inch of that land away. But the Scriptures tell us that in the last days that is exactly what is going to happen. The truth is that world leaders never learn. They are still messing with the land of Israel just like they always have throughout history. However, those nations who do mess with Israel have often found themselves cursed. So is the Gulf of Mexico oil spill a curse that has been brought upon us because Barack Obama is trying to divide the land of Israel? The truth is that we don’t have a definitive answer for that question. Only God can tell us exactly why something happens. But below we will detail the evidence for why these two things may be connected. Barack Obama has rapidly become the most anti-Israel president in U.S. history. In fact, it was reported in the international media on April 30th that Barack Obama had already decided that if Israel and the Palestinians have not agreed to a peace agreement by the end of the year, the Middle East peace process will be handed over to the international community and a final solution will be imposed on both parties. In fact, Haaretz reported on April 30th that Barack Obama had already conferred with “several European leaders” at that point and that it had been decided that the “international peace conference” would be run by the Quartet of Middle East peacemakers – the United States, European Union, United Nations and Russia – and the goal would be to forge a united global front for creating a Palestinian state. So if this was being reported on April 30th, and Barack Obama had already spent a good amount of time talking with European leaders about this plan prior to that date, then it seems quite likely that Obama had started implementing this new Middle East strategy at least a week or two earlier. 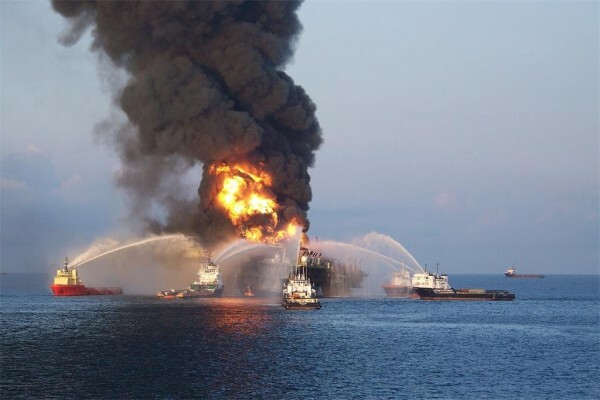 Coincidentally, BP’s Deepwater Horizon oil rig in the Gulf of Mexico exploded on April 20th, 2010. Before you convince yourself that the two events are unrelated, keep reading the rest of the article. The truth is that God does not like it when anyone tries to take the land of Israel and give to to someone else. And that is exactly what Barack Obama’s plan would do. If Obama’s plan is implemented, the international community will almost certainly come up with the “final solution” that the UN, the EU and Barack Obama have been seeking all along – a Palestinian state along pre-1967 borders with East Jerusalem as its capital. So now the Palestinians have absolutely no incentive to negotiate with Israel at all. The reality is that the Palestinians can just sit back, allow the negotiations to fail, and still get a Palestinian state with a capital in East Jerusalem just like they always wanted anyway. The truth is that Obama’s grand scheme undermines the entire peace process as one Israeli official recently explained…. Not that Israel should be considering giving away one single inch of the promised land anyway. But now the Palestinians will just sit back and wait for the international community to give them the state that they have been promised along with a capital in East Jerusalem. The sad truth is that Barack Obama has been promising them a Palestinian state for a long time. 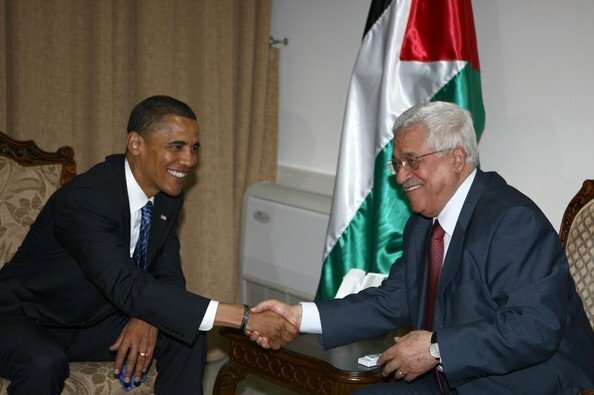 According to WorldNetDaily, Barack Obama told the Palestinian leadership all the way back in 2008 that he supports a Palestinian state with a Palestinian capital in East Jerusalem. So why in the world would the Palestinians be willing to accept anything less from Israel? Meanwhile, Barack Obama and his administration are bringing a curse on to the United States of America. In a previous article, we detailed what has happened before when the U.S. government has tried to divide the land of Israel…. In the Scriptures, we are warned that the city of Jerusalem would one day become a huge stumbling stone for the nations in Zechariah 12:3….. The truth is that God gave that land to Israel long ago, and now that He has started to bring His people back to the land, anyone who tries to give it away is going to be under a curse. So is there any evidence of a curse on those who try to divide the land of Israel today? In the book of Joel, God warns specifically against dividing the land of Israel. You just cannot go against the Word of God and win. So is the Gulf of Mexico oil spill a curse on the United States for trying to divide up the land of Israel? Or could it just be a coincidence? Could all of the examples cited above just be a string of coincidences? A YouTube video has been posted by Carl Gallups of Hickory Hammock Baptist Church in Milton, Florida that examines this same idea. A copy of the video is posted below. In the video, Gallups points to April 19th as being the key date, which is very interesting. So is this even more evidence that our treatment of Israel is linked to the disaster in the Gulf of Mexico? Watch the video for yourself and decide…. At a time when the U.S. economy is dying and the U.S. national debt is exploding at an unprecedented rate, Barack Obama has announced a brand new 400 million dollar “aid package” for the Palestinians. Considering the fact that some cities American cities such as Detroit are such an economic mess that they literally look like war zones, and considering the fact that the U.S. government is literally drowning in debt, it seems inconceivable that Barack Obama would even consider sending 400 million U.S. taxpayer dollars to terrorists that have sworn to destroy Israel. But that is exactly what Barack Obama plans to do. A White House statement said that the new 400 million dollar gift is “a down payment on the United States’ commitment to Palestinians in Gaza, who deserve a better life and expanded opportunities, and the chance to take part in building a viable, independent state of Palestine, together with those who live in the West Bank”. And do you know who runs Gaza? The same Hamas that is obsessively committed to wiping Israel off the face of the earth. That is who we are sending 400 million dollars to. It is utter insanity, but God warned us that things were going to get really strange in the last days. But the reality is that the U.S. should not be sending 400 million dollars to anyone. The truth is that the United States is flat broke. According to the U.S. Treasury Department, on June 1st the U.S. National Debt was $13,050,826,460,886.97. In case you aren’t used to reading such large numbers, that is over 13 trillion dollars. In fact, according to a recent U.S. Treasury Department report to Congress, the U.S. national debt will top $13.6 trillion this year and climb to an estimated $19.6 trillion by 2015. 19 trillion dollars in debt by 2015? Do you have any idea how much money that is? If you were alive 2000 years ago and you started spending one million dollars every single day when Jesus was born, you still would not have spent one trillion dollars by now. And yet somehow the U.S. government has gotten all of us 13 trillion dollars in debt. As bad as the debt already is, it is rapidly getting even worse. Based on data from the International Monetary Fund, it is now being projected that the national debt will exceed the gross domestic product of the United States in 2012. We have piled up the biggest mountain of debt in the history of the world, and yet the U.S. government continues to spend our money as if there is an endless supply of it. But it is not just U.S. government debt that is the problem. In fact, the total of all government, corporate and consumer debt in the United States is now equal to 360 percent of GDP. That is a far greater level than the U.S. ever approached during the Great Depression. The United States is a complete and total economic disaster. 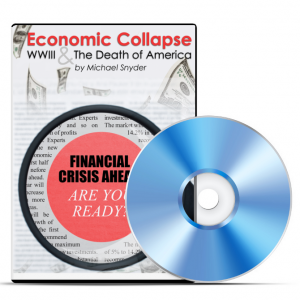 A financial collapse is only a matter of time. But you can help out. Okay, try not to laugh. The U.S. government is now actually taking online donations that will go towards paying off the national debt. So are you feeling generous today? Perhaps the U.S. government will send your donation to the Palestinians as well. The truth is that any nation that comes against Israel is not going to be blessed. Hamas has never renounced their goal of wiping Israel off the map, and yet the United States is giving them hundreds of millions of dollars. We are cursing ourselves by giving them this money. What we should be doing is taking care of our own. Already, 40 million Americans are on food stamps. 1 in 5 U.S. children now live in poverty. The U.S. economy is coming apart at the seams. But Barack Obama feels it is much more important to send hundreds of millions of dollars to the sworn enemies of Israel. We all knew that things like this were going to happen in the last days, but to see what the United States is becoming is incredibly sad. It is becoming increasingly obvious that the world community will accept no peace plan for Israel that does not include a Palestinian state. In fact, at this point the creation of a Palestinian state is a foregone conclusion in most diplomatic circles. The only question seems to be what the exact dimensions of that state are going to be. The Scriptures have long foretold the division of the land of Israel in the last days, but to see it play out in front of our eyes is absolutely stunning. Virtually the entire world is united behind the idea that a Palestinian state is a great idea, and the pressure for Israel to accept one will continue to grow in the coming days. Robert Serry, the UN special coordinator for the Middle East peace process, was recently asked if there is an alternative to a Palestinian state during an appearance at the Hebrew University’s Truman Institute. In fact, he made it clear that the UN is not even considering any other alternatives when he made this statement…. So that is what Israel is faced with. Accept a Palestinian state or nothing. In essence, a Palestinian state is Plan A and there is no Plan B. Meanwhile, it is being reported that the Obama administration’s plan for Israel includes stationing international troops along Israel’s border with a future Palestinian state. Apparently the idea is that by deploying international soldiers along the Palestinian side of a future border with Israel, there would be a “buffer” that would keep peace between the two sides. Of course we have all seen how well UN troops “keep the peace” in other areas of the world. So what is the main obstacle to a Palestinian state at this point? Well, it is the fact that the Palestinians want East Jerusalem for their capital. Benjamin Netanyahu and the current Israeli government are not about to accept that. But we were warned in Zechariah 12:3 that the city of Jerusalem would one day become a huge stumbling block for the nations….. So how will all of this play out? Meanwhile, the entire region continues to prepare for war. *The president of Syria is openly accusing Israel of trying to start a war. *According to one new report, Syria has approximately 1,000 ballistic missiles zeroed in on Israeli targets. *Egyptian military forces recently concluded maneuvers in the Sinai Peninsula that simulated an invasion of southern Israel. *The National News Agency reported this week that the Lebanese Armed Forces fired anti-aircraft artillery from the town of Shebaa in South Lebanon at Israeli warplanes flying over Lebanese territory around 11:30 a.m. on Wednesday. *A top IDF Home Front Command officer said on Tuesday that Israel is not sufficiently prepared for a chemical missile attack. *Israel recently kicked off a five-day nationwide defense drill with the goal of preparing civilians for rocket attacks. *It is being widely reported that teams of American special forces have been authorized to conduct spying missions intended to pave the way for a military strike on Iran in case Barack Obama orders one. The truth is that tensions continue to rise in the Middle East and war could break out at any time. So will a Palestinian state come before or after the next war? There is quite a bit of debate about that among Bible prophecy scholars. The truth is that we will just have to wait and see. But let us pray that the division of Israel and of Jerusalem does not happen, because if the U.S. has a hand in that, God will not be pleased at all. Barack Obama has reportedly decided that if Israel and the Palestinians have not agreed to a peace agreement in the next few months, the Middle East peace process will be handed over to the international community for a resolution. So what would be the result of handing over the peace process to the international community? Well, the international community would almost certainly come up with the solution that the UN, the EU and Barack Obama have been seeking all along – a Palestinian state along pre-1967 borders with East Jerusalem as its capital. According to Haaretz, Obama has agreed with leading European allies on a secret plan to convene an “international peace conference” by the end of the year if Israel and the Palestinians are not able to work out an agreement. This “international peace conference” would be convened under the auspices of the Quartet for Middle East peace. The membership of the “Quartet” currently includes the United States, the EU, the UN and Russia. So if Israel does not act quickly they could very well soon find the rest of the world imposing a Palestinian state on them. What in the world is Barack Obama thinking? Well, apparently he wants to be the “great Middle East peacemaker” and he is willing to throw his weight around in order to get it done. But the truth is that this could end up being one gigantic mess. The Telegraph recently quoted Alon Pinkas, a former Israeli diplomat close to the Obama administration, regarding his opinion on what an “international peace conference” would mean…. No, anything is not better than the status quo. The truth is that the Palestinians now have no incentive to negotiate with Israel. They can just sit back, allow the negotiations to fail, and still get a Palestinian state with a capital in East Jerusalem just like they always wanted anyway. The reality is that this whole plan by Obama undermines the entire peace process as one Israeli official recently explained…. The reality is that Barack Obama has been promising them a Palestinian state for a long time. According to WorldNetDaily, Barack Obama told the Palestinian leadership all the way back in 2008 that he supports a Palestinian state and a Palestinian capital in East Jerusalem. By doing his best to divide the land of Israel, Barack Obama is directly coming against the Word of God. In a previous article, we explained why this is a very, very bad idea for any U.S. administration to do…. But America never seems to learn, eh? Barack Obama is absolutely determined to divide up the land of Israel. Let’s just hope that it does not happen. Aziz Dwaik (remember that name), the most senior representative for Hamas in the West Bank said on Wednesday that Hamas is ready to accept Israel’s right to exist. Dwaik also said that Hamas would also potentially be prepared to nullify its decades-old charter which states that the organization would never recognize that the state of Israel has a right to exist. Meanwhile, a newly released Vatican document blames the Israeli-Palestinian conflict and the “occupying” of lands for fomenting most of the conflicts in the Middle East. Both of these stunning developments come at a time when the worldwide pressure for Israel to agree to a Palestinian state has grown to a fever pitch. In fact, many are viewing this recent posturing by Hamas as nothing more than a shrewd public relations ploy. You see, there are essentially two organizations running the Palestinians – the Palestinian authority in the West Bank, and Hamas in the Gaza strip. The Israeli government has been willing to negotiate off and on with the Palestinian authority, but they have had major problems with Hamas. The absolute extermination of the nation of Israel has always been the stated policy of Hamas, but now things are apparently changing (at least for public consumption). In fact, Aziz Dwaik sounds almost dismissive when talking about the cherished charter of his organization. Just consider the following quotes by Dwaik in the Jerusalem Post…. “The [Hamas] charter was drafted more than 20 years ago,” Dwaik noted, adding that his movement would even be prepared to “nullify” the document. “No one wants to throw anyone into the sea,” he said. Many believe that Dwaik will be the next president of the Palestinian Authority, so his words carry with them a great deal of weight. In fact, Dwaik’s remarks are being viewed by many as an attempt to win official recognition from the international community. But of course the main goal is to get a Palestinian state. Intense pressure is being placed on Israel from all over the globe to give the Palestinians a state based on pre-1967 borders. So what is Israel supposed to get in return? A promise of peace that won’t even be worth the paper it is written on. Meanwhile, an internal document to be used as a guide for an upcoming meeting of Mideast Catholic bishops blames the Israeli-Palestinian conflict and the “occupying” of lands as the root cause for most of the conflicts in the Middle East. So just who is “occupying” lands according to the bishops? Well, apparently that would be the United States and Israel. The reality is that the Vatican has endorsed the Mideast Road Map which calls for an independent Palestinian state and a freeze on all Israeli settlement activity. Apparently the Vatican has not spent a lot of time reading what God has to say about dividing the land of Israel – or else they are just willfully ignoring it. In any event, another key element in this equation is the Vatican’s not-so-secret agenda for the city of Jerusalem. 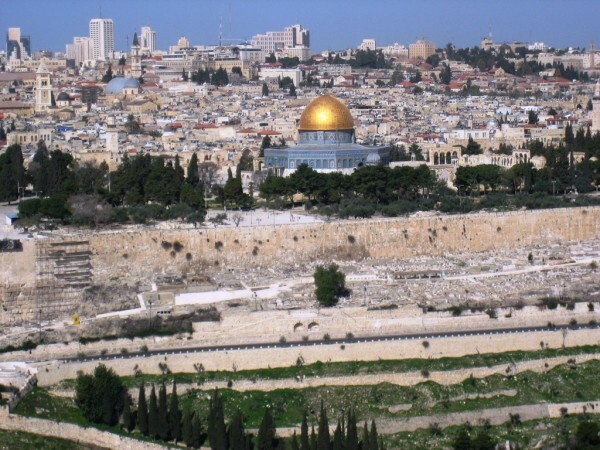 Not only has the Vatican publicly expressed a desire to have sovereignty over the Christian holy sites in Jerusalem transferred to it, the truth is that the Vatican would ultimately love to be the governing authority over the entire city of Jerusalem. Think of it as a “second Vatican” if you will. Now that is not likely to ever come to pass, but if the Vatican could get control over Jerusalem somehow they would grab it in a second. More than ever, the land of Israel, and in particular the city of Jerusalem, has become a “burdensome stone” in these last days. The world is going to keep whining and complaining and putting pressure on Israel until they get a Palestinian state. But ultimately the world will see that a Palestinian state will not solve anything. The nation of Israel is not going to experience true and lasting peace until Yahshua (Jesus) the Messiah returns to this earth.